Explore the lovely neighborhood of Montmartre, with breathtaking views of Paris. Learn about the history of Paris on the Île de la Cité.. 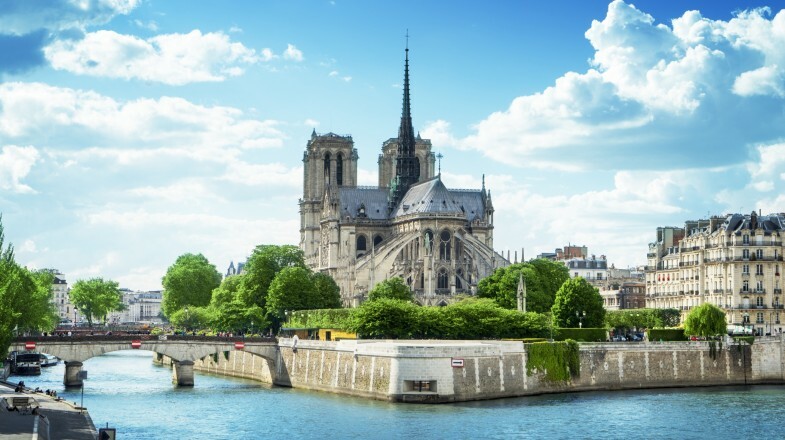 Step inside Notre Dame Cathedral to admire stunning gothic architecture. Visit the Mona Lisa at closing time to see it without the crowds. Spend 3 full hours seeing the greatest treasures of the Louvre..
With an intimate group of 15 people or fewer your tour will be more relaxed and your guide. Unique and personnalized tour with a guide who loves and knows his (or her) city!. Choice of several departures throughout the day. See the best of the Louvre with an expert local guide. Skip the line tickets mean you won’t wait in line. Carefully-crafted itinerary crams the best into 2 hours. Hotel pick up and return. Discover some of Paris’ most impressive architecture. See where some of Europe’s most famous art was produced. Get a unique tour experience, without a set script or itinerary. Witness the stunning architecture of Parisian icon, the Louvre. Get a real taste for Paris with a slice of Roquefort cheese. Explore quirky boutiques and sweet smelling patisseries. All necessary equipment for a fun Segway Tour. Discover Paris from a new angle. Wine + French food + craft beer = a fantastic way to discover Paris! Join this laid-back, food and drink-focused walking tour to discover Paris through its bistrots, wine bars, brasseries, and cool local neighbourhoods. Enjoy an Exciting Champagne Tour from Paris. Get to taste some of the best champagnes in the world.. Enjoy a 4-Course Lunch at a Vineyard. Enjoy the most complete Île de la Cité tour available, we cover the top three sites. Explore the hunchback’s bell tower and enjoy a full tour of the Cathedral..
Visit La Conciergerie, the tribunal and jails of Paris during the French Revolution..
Visit three bars and one club in Paris. Enjoy three free shots, one in each venue. Get discounts on drinks all night long. Immerse yourself in the bohemian buzz of Saint-Germain. Savour the taste of a traditional French charcuterie plate. Impress the locals with your petanque skills. “It was as hard not to fall in love with Josephine as well as Paris during this tour. We were there with a large (and very tired) group of students that arrived from the US but Josephine perked them right up with stories of beheadings, infidelity, and other blood-ridden mortal tragedy. Next to being charming and humorous (and sometimes a bit teachy), she was also very knowledgeable to the extent that she could discuss bilingualism in Paris throughout the years (which was a specific interest of the group) as well as historical derivations of subway names (which, I believe, was a dare of mine). Great day! Home to iconic architecture, world-famous art and enticing cuisine, it’s no wonder that doing a trip to Paris sits firmly at the top of many travelers’ bucket lists. Whether you want to immerse yourself in the classic Parisian bohème lifestyle, spend your days exploring the never-ending array of its historical treasures, or go on a palate-pleasing gastronomical adventure in its numerous bistros, one thing is certain: holidays in Paris will be a delight for all senses. As the ultimate symbol of the French capital, a visit to the wrought iron Eiffel Tower should definitely be among your top priorities whilst in the City of Light. Arc de Triomphe is another unmistakable emblem of the city, which marks the beginning of one of the world’s most famous avenues, Champs-Élysées. Standing tall on Île de la Cité, Notre-Dame Cathedral is a prime example of French Gothic architecture. Climb to the top and you will be greeted with a gorgeous panorama of the Seine and the surrounding area. Champ-Élysées, a glorious avenue that stretches for two kilometers from Place de la Concorde to Arc de Triomphe, is a true shopaholic’s paradise with dozens of exquisite haute couture boutiques. As one of the largest and most famous museums in the world, Louvre hosts a gargantuan collection of cultural riches from around the globe, all exhibited in an enchanting Renaissance-era palace. A great way to soak up the Parisian vibrant atmosphere is by cycling. Luckily, the city has Vélib, an efficient and extensive self-service bike rental. If you are a contemporary art lover, no holiday in Paris can be complete without a visit to the Pompidou Centre, a complex that hosts Europe’s greatest modern art museum. A visit to Paris simply has to include a couple of hours of people-watching while sipping coffee in one of its charming cafés. One of the best places to do so is the picturesque neighborhood of Montmartre. Several of the biggest museums in Paris have free admission on the first Sunday of each month, including the Louvre, the Musée d Orsay and others.